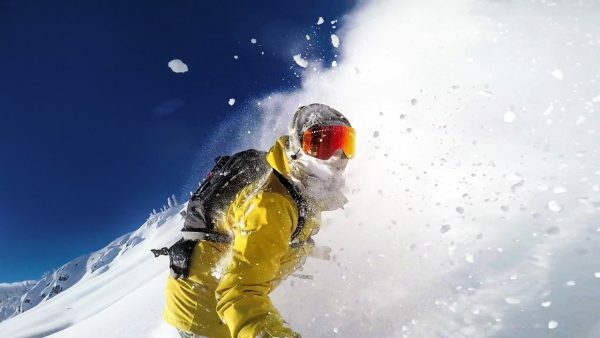 The latest video of the day from GoPro is astounding on a number of fronts. Not only for its environmental surroundings in the Chilean Andes or the technical riding by the best women athletes in skiing and snowboarding. It features gold medalist alpine skier Julia Mancuso, gold medalist freestyle snowboarder Jamie Anderson and pioneering mountain skier Lynsey Dyer on an adventure into the Chilean Andes Mountain. It’s epic also for the way it captures the action from all the angles. Using every latest gadget and gizmo from GoPro, their ride down some of the most stunning slopes on the planet is captured from every angle imagined. From the sky with the latest GoPro Karma drone, to helmet mountain Hero5, the Karma Grip stabilizer and some other sort of extended helmet cam, GoPro has truly maximized the potential with this latest release.